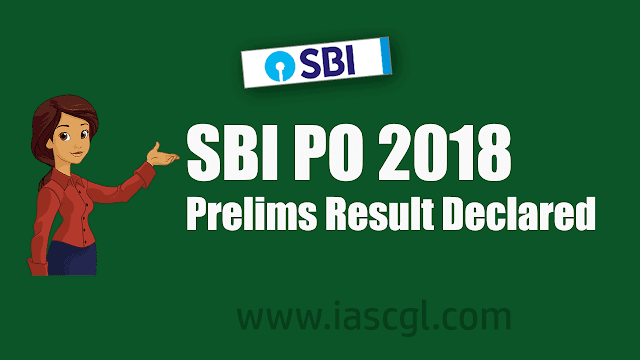 State Bank of India(SBI) declared the result of Probationary Officer Prelims Exam 2018, you can check it on the official website of SBI as well as a direct link given in this article. State Bank of India (SBI) has released result of Probationary Officer(PO) Exam 2018. Candidate who appeared in the examination can check their result at sbi.co.in or a direct link given in this article. The SBI PO examination was conducted on July 1, July 7 and July 8 to fill nearly 2000 posts.